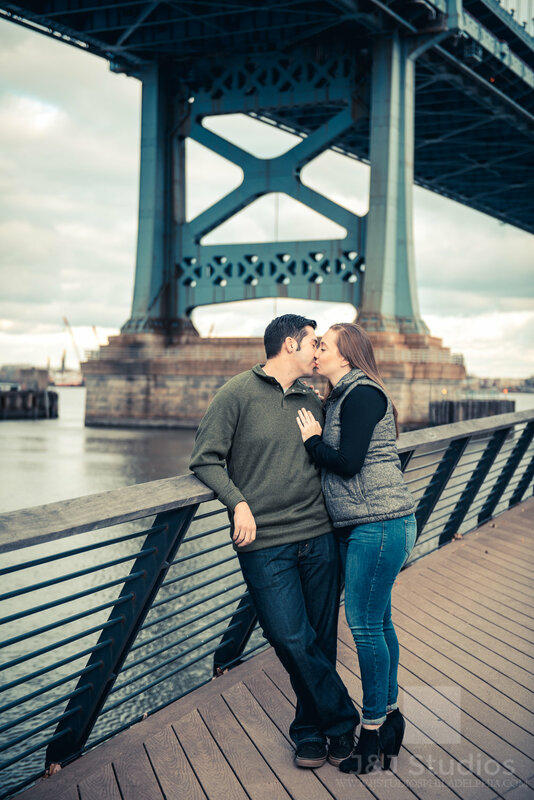 This past December, we photographed Zach's proposal to Cara. While it was freezing cold, they had all the elements for perfect winter photography. It was the perfect proposal with fluffy white snow, Christmas lights, and a committed man on bended knee to his future wife. 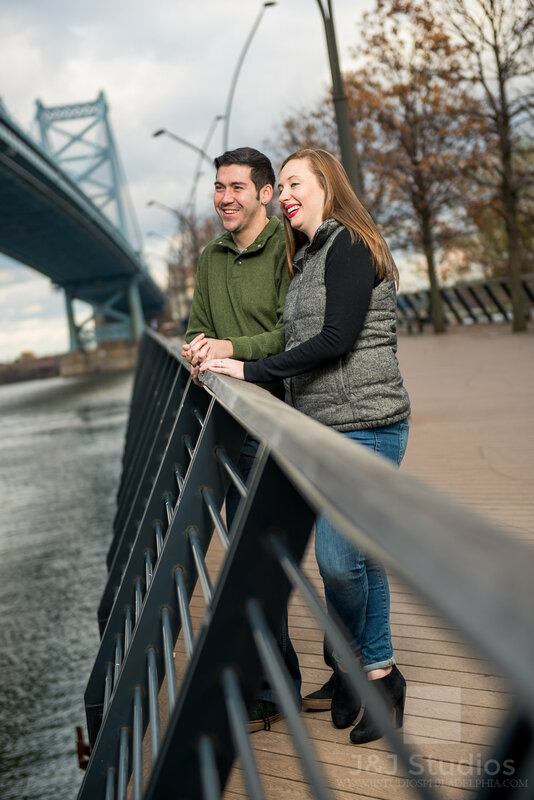 Fast forward 6 months, we are now capturing their engagement photos along with their precious dog Galaxy at the Philadelphia Art Museum and Waterworks. 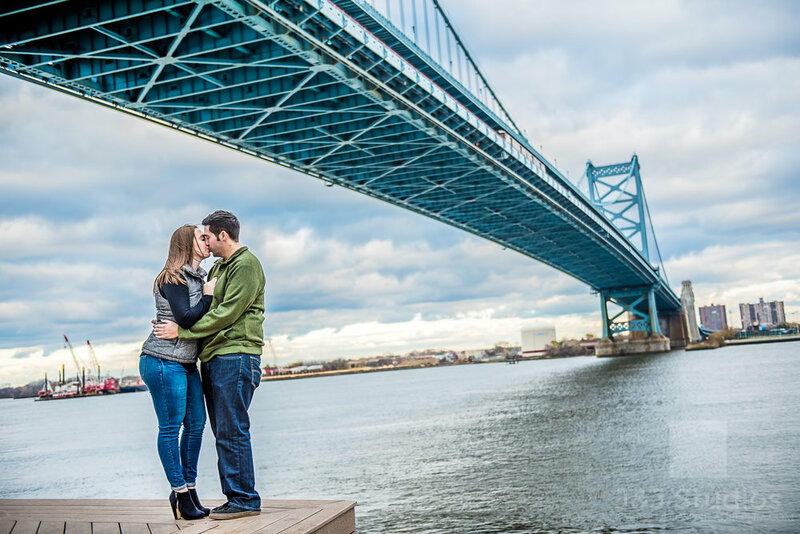 We finished the night at Race Street Pier for some amazing blue hour photos under the Ben Franklin Bridge.